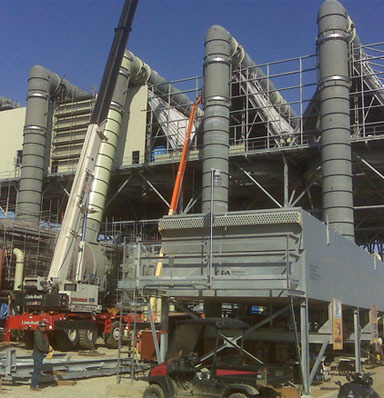 PMI installed 25 cell air-cooled condensers and turbine exhaust duct. The project included approximately 3,042 feet of large-bore pipe, 1,320 feet of small-bore pipe, 1,424 tons of structural steel, 107 tons of platforms, and 170 cubic feet of grout. CPMCA Member: Performance Mechanical, Inc.